This is one of José-Luis Orozco's most celebrated educational books and sing-along sets, perfect to be used as a tool to teach your kids language and reading skills at an early age. 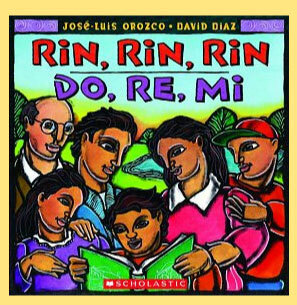 José-Luis developed Rin, Rin, Rin, Do, Re, Mi with Scholastic, the world renowned children's book publisher, for the literacy program Lee y Serás (Read and You Will Be). The Rin, Rin, Rin/Do, Re, Mi single was produced by GRAMMY award-winning music producer KC Porter, who has worked with the biggest stars in the Latin music industry.